I think we all crave connection. Ceres gives a lot of people a way to create it…Caring for each other, especially through the vehicle of food, is a gift for both the receiver and the recipient. The Ceres Project energizes communities by linking what we eat and how we care for each other with the health of people and planet. The project’s holistic approach supports primarily low-income people facing a serious health challenge with free and low-cost, home-delivered, nourishing organic meals; nutrition education; and the caring support of the community. 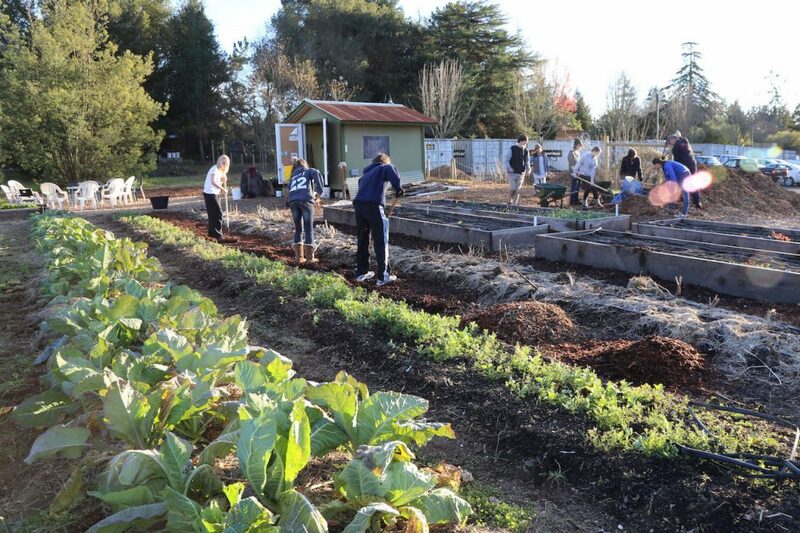 To empower local teens, all the meals that Ceres provides are prepared by youth ages 14 and up who volunteer in the project’s three-quarter-acre food production garden and three commercial kitchen sites in Marin and Sonoma Counties in California. Ceres broadens its impact with community-centered initiatives. The project publishes and distributes Nourishing Connections Cookbook; offers healthy eating classes for the community; partners with local community clinics to teach nutrition; and actively works to educate volunteers, donors, and especially health professionals about the difference that whole organic foods can make for themselves and patients. Because the model is so exemplary, twelve communities across the country have asked Ceres to help them start similar projects. The Ceres team tells us more about its inspiring and far-reaching work. What sparked the founding/creation of the Ceres Project? Our founder Cathryn Couch had started the first home-delivered organic vegetarian meal service in the area. One day, a friend told Cathryn that she wanted her to teach her daughter to cook, and it would be great if she could give her a job too. Unable to hire someone without training or experience, Cathryn came up with the idea that soon thereafter became Ceres. She and Megan would meet one afternoon a week for a month to cook together, offering the meals to three families who were going through some serious health challenges. 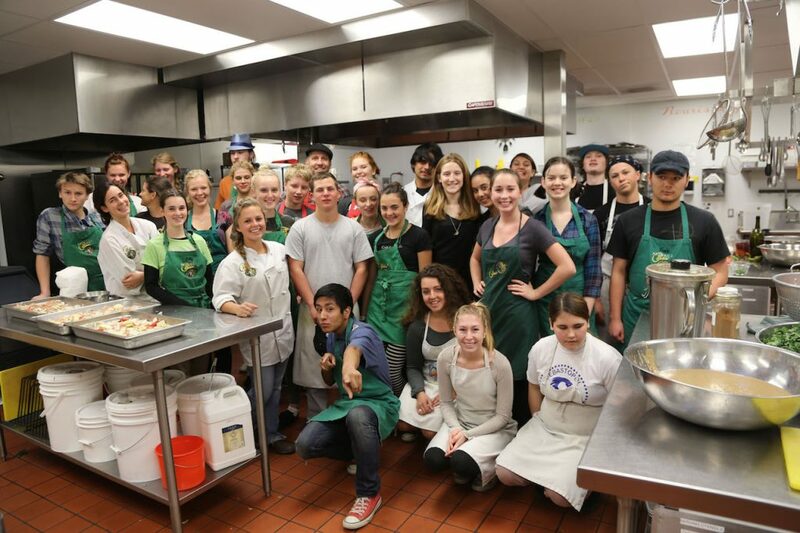 How does the Ceres Project fill a need for the recipients of meals, teens, and communities as a whole? We have a holistic worldview. Ceres believes that individual health is closely linked to community and planetary health. The food we eat, the way we produce food, and our social connections are big determinants of health at all those levels. Every week in our kitchens and gardens, hundreds of volunteers of all ages and backgrounds work together toward a common goal: nourishing our neighbors — whose health conditions make it difficult or impossible for them to shop and cook for themselves — with meals that are nutrient-dense, organic, delicious, and made with love. We serve clients of all ages, many of whom don’t qualify for service provided by Meals on Wheels or other agencies, and we offer to serve the whole family. Teens come from dozens of local schools. They learn to cook and garden, gain job and leadership skills, and experience their power to make a difference for their neighbor, their community, and for the world. Working together toward a common goal with other teens from a wide variety of backgrounds, they learn to appreciate the unique contribution that everyone makes to a team. Together, we are reweaving the web of community and rediscovering our sense of belonging. How do you see Ceres Project as embodying gratefulness? I think we all crave connection. Ceres gives a lot of people a way to create it. Many of our clients tell us: “I can’t believe that people I don’t even know are cooking for me.” Our volunteers will tell you they usually feel like they receive a lot more than they give. Caring for each other, especially through the vehicle of food, is a gift for both the receiver and the recipient. How does Ceres Project inspire gratefulness and related actions (love, kindness, compassion, etc.)? Our surveys of youth tell us that they continue to seek out volunteer opportunities once they leave Ceres and move on to college or jobs. Many youth volunteers say that their most meaningful experience is hearing directly from clients. 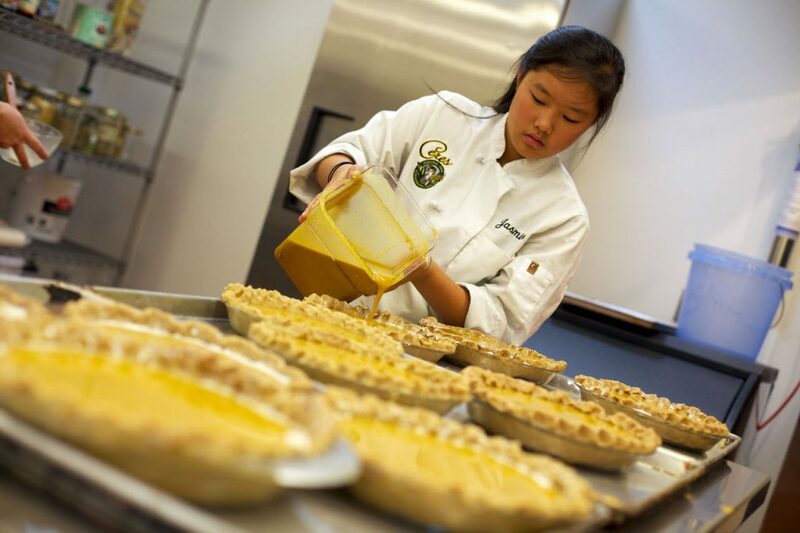 Three times a year, we invite clients to visit Ceres and sit in circle with our Teen Chefs. The clients share the story of what brought them to Ceres and the difference our meals made. In that circle, every person gains an understanding of their value and importance. I think understanding that you matter inspires gratitude and loving action. What inspires participation in Ceres Project?How do community members get involved? Many of our volunteers and donors are former clients or family members of former clients who want to “pay it forward” to others. We have a lot of adult volunteers who have more time and are looking for ways to give back. They mentor youth, deliver the meals, help with food prep and procurement and much more. Local farmers, food producers and businesses donate products, services, and money. Youth volunteers might need a service project or have just heard about how fun and fulfilling Ceres is from friends. Or their mother might have made them attend a volunteer orientation. We all come to Ceres in different ways and for different reasons. We stay because we see the difference we make, and we feel more connected to each other and to ourselves. What is the lasting impact? The meals are ephemeral. The goodwill, improved eating habits, and sense of agency last. 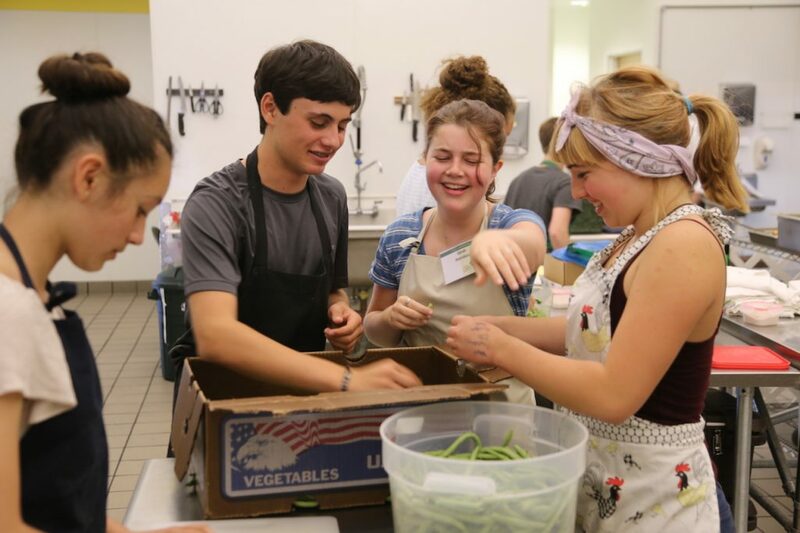 For example, 64 percent of youth alumni report that they cook a meal from scratch at least four times a week, and 60 percent of them continue to be involved in community work. Among our former clients, 63 percent say they’re eating less processed and packaged food, and more than 90 percent say they feel cared for by the community and less alone. We’re also working to leverage our model and learning for a broader impact. We train other communities to replicate our model, and we work through coalitions; healthcare partners; and local, regional, and state government to impact policy. We’re working on three different pilots this year to demonstrate the impact of healthy home-delivered meals on health outcomes and healthcare costs. The goal is to make foodcare a reimbursable part of healthcare. What are some of the common barriers and obstacles that arise for participants in the project? How are they addressed? There’s usually more demand than capacity for our meals. 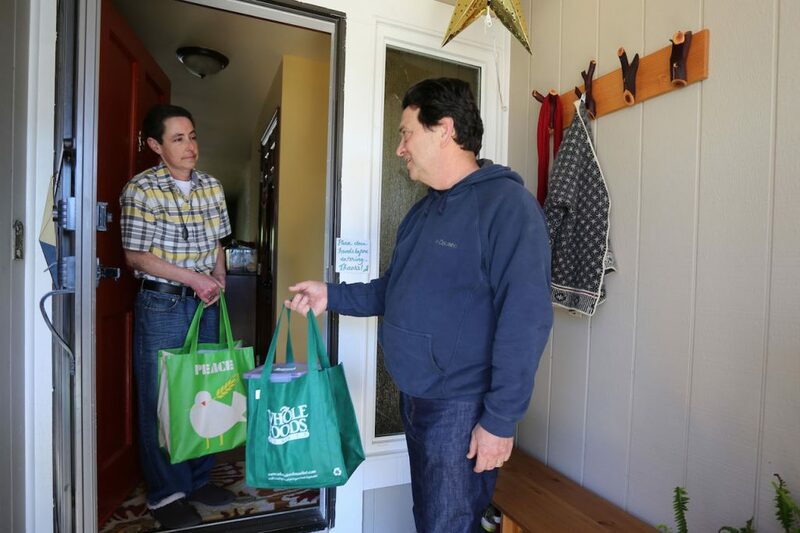 This year our goal is to increase meals delivered by 16 percent for a total of 120,000. That means many more youth and adult volunteers will also benefit. We have a staff team looking at how to help more youth get involved through things like stipends or transportation. How does the Ceres Project plan to grow? Ceres is planning mindful local growth to fully utilize the capacity of our three kitchens and two gardens; growing our Affiliate Partner network by onboarding new members and providing ongoing support; and work on policy issues including foodcare, organics, and food standards for meal providers. We feel profoundly grateful for and inspired by the generosity and dedication of the Ceres community, and deeply committed to use those gifted resources to the greatest good. If you could encapsulate one message for people who are served by the Ceres Project, what would that be? Everything is connected, and life continually invites us to experience gratitude, abundance, connection, community, and healing. That’s one of our Operating Principles, and it kind of sums everything up. What a wonderful project Ceres is!!! Food and eating are so fundamental to our lives. From experience, my switching to a vegetarian diet and eating many organic foods, I am much healthier. I am 65 years old and have gotten off all prescription meds since changing my eating habits. The love and caring that Ceres puts into all they do is so beautiful!! !